Does Solving Energy Poverty Help Solve Poverty? Not Quite. Recent research questions a widely held belief. The head of Swedfund, the development finance group, recently summarized a widely-held belief: “Access to reliable electricity drives development and is essential for job creation, women’s empowerment and combating poverty.” This view has been the driving force behind a number of efforts to provide electricity to the 1.1 billion people around the world living in energy poverty. But does electricity really help lift households out of poverty? We set out to answer this question. We designed an experiment in which we first identified a sample of “under grid” households in Western Kenya—structures that were located close to but not connected to a grid. These households were then randomly divided into treatment and control groups. In the treatment group, we worked closely with the rural electrification agency to connect the households to the grid for free or at various discounts. In the control group, we made no changes. After eighteen months, we surveyed people from both groups and collected data on an assortment of outcomes, including whether they were employed outside of subsistence agriculture (the most common type of work in the region) and how many assets they owned. 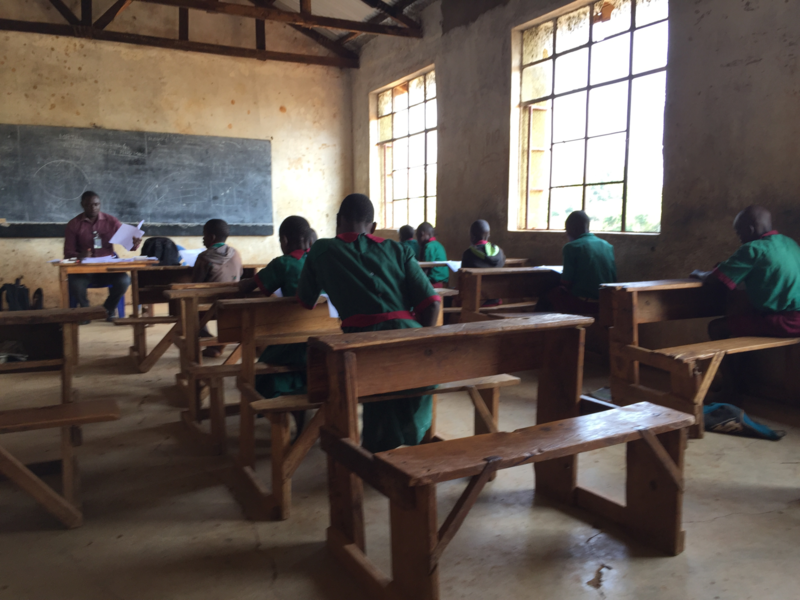 We even gave children basic tests, as a frequent assertion is that electricity helps children perform better in school since they are able to study at night. When we analyzed the data, we found no differences between the treatment and control groups. 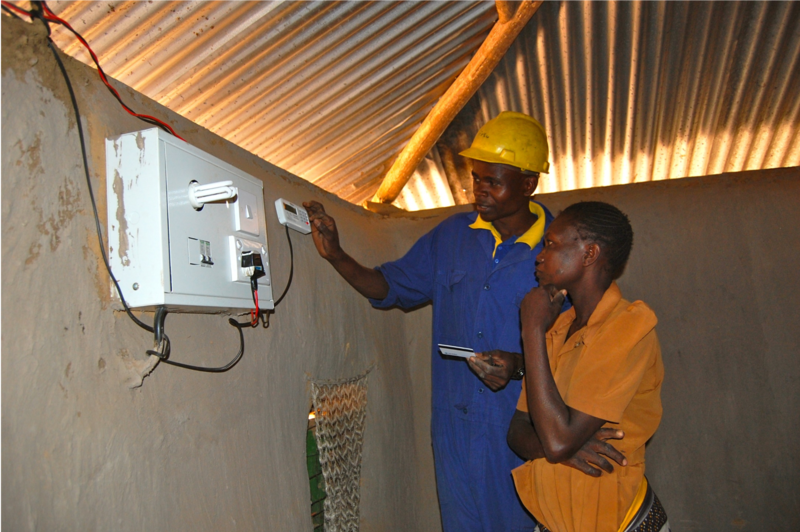 The rural electrification agency had spent more than $1,000 to connect each household. Yet eighteen months later, the households we connected seemed to be no better off. Even the children’s test scores were more or less the same. The results of our experiment were discouraging, and at odds with the popular view that supplying households with access to electricity will drive economic development. Lifting people out of poverty may require a more comprehensive approach to ensure that electricity is not only affordable, but is also reliable, useable, and available to the whole community, paired with other important investments. For instance, in many low-income countries, the grid has frequent blackouts and maintenance problems, making electricity unreliable. Even if the grid were reliable, poor households may not be able to afford the appliances that would allow for more than just lighting and cell phone charging. In our data, households barely bought any appliances and they used just 3 kilowatt-hours per month. Compare that to the U.S. average of 900 kilowatt-hours per month. There are also other factors to consider. After all, correlation does not equal causation. There is no doubt that the 1.1 billion people without power are the world’s poorest citizens. But this is not the only challenge they face. The poor may also lack running water, basic sanitation, consistent food supplies, quality education, sufficient health care, political influence, and a host of other factors that may be harder to measure but are no less important to well-being. Prioritizing investments in some of these other factors may lead to higher immediate returns. Previous work by one of us (Miguel), for example, shows substantial economic gains from government spending on treatment for intestinal worms in children. It’s possible that our results don’t generalize. They certainly don’t apply to enhancing electricity services for non-residential customers, like factories, hospitals, and schools. Perhaps the households we studied in Western Kenya are particularly poor (although measures of well-being suggest they are comparable to rural households across Sub-Saharan Africa) or politically disenfranchised. Perhaps if we had waited longer, or if we had electrified an entire region, the household impacts we measured would have been much greater. But others who have studied this question have found similar results. One study, also conducted in Western Kenya, found that subsidizing solar lamps helped families save on kerosene, but did not lead children to study more. Another study found that installing solar-powered microgrids in Indian villages resulted in no socioeconomic benefits. 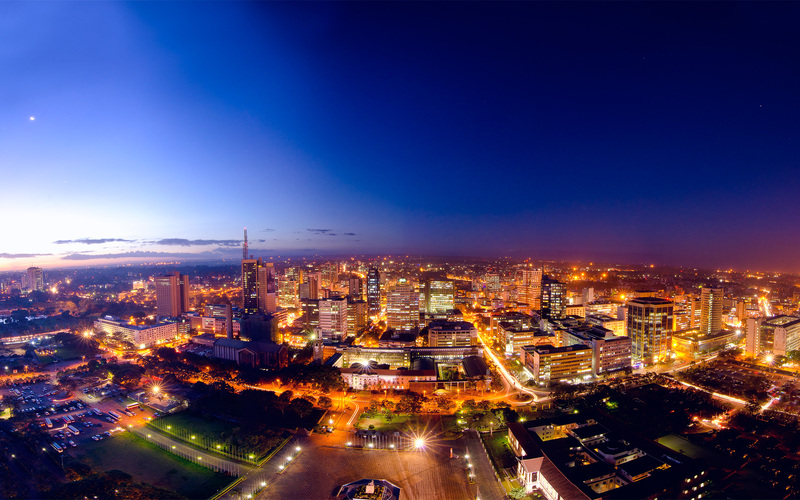 Nairobi at night. Image licensed under Creative Commons. Addressing the needs of the world’s poorest citizens is clearly important, and those of us who enjoy 24/7 electricity cannot imagine a life without it. But in a world of limited resources, we need to be focused on the best ways to address poverty. The emerging evidence suggests that electrifying poor, rural households may not be the essential key that we once thought it was. While energy access is potentially valuable, solving poverty will take a whole lot more. A previous version of this post appeared on Forbes.com. Next Next post: Subsidies and Puppies. Catherine, I would anticipate the results your study returned given what you describe as its hypothesis and design. Grid electricity is useless without something to plug into it – like giving a dehydrated castaway an empty bottle. Household occupants who had never used it would need to be familiarized with how it works, its dangers, what appliances are available, and their cost. Community access is another story. Food supply, healthcare, and running water are communal needs met with exponentially greater facility with a robust supply of electricity, even if it doesn’t work all the time. A refrigerator at a local grocery keeps food fresh; an autoclave in a doctor’s office sterilizes tools for surgery and inoculations; an electric pump at a village well provides abundant fresh water for human consumption and agriculture. Directing generation and transmission not to households but to community resources first would permit electrification programs to reap maximum benefit. Thanks for the fascinating research, Dr. Wolfram. It seems that if the demand after 18 months of interconnection is only 3kWh/month, then perhaps grid interconnection at a cost of $1k a pop is not a cost-effective energy intervention. A small solar panel and battery system (and I do mean small — 20W panel would yield 3 kWh/month assuming 20% c.f.) would be better matched to the use. Also, I wonder if a more system-based approach would yield better results, in which the homes were equipped not only with the interconnection, but also a handful of devices to make use of it. I’m really curious to know what these folks did with their 3kWh. At that level, for example, is it even possible these folks were able to use refrigeration? Anyway, thanks for the fascinating work! This is a useful counterpoint against the hubris of those who tout electrification as a cure for poverty. Poor people have a comparative advantage in living where (implicit) rents and utility bills are low, i.e. in unelectrified areas. Giving poor households the option to pay a high utility bills is not a promising strategy of poverty alleviation and is likely to lead to rate subsidies, thereby throwing good money after bad – another example of Black Hole Economics. Moreover, electrification is likely to result in higher explicit or implicit rents and will make some households worse off, e.g. by inducing the clearance of squatter areas. I innocently asked this question on my first day as a student at RAEL UCBerkeley c. 2001 and learned pretty quickly that it wasn’t an appropriate question to ask. (Pun intended.) I appreciate your efforts trying to shed light on a very complicated issue. these efforts need to be sustainable – as in maintenance, upgrades, etc. otherwise most such initiatives help alleviate the poverty of the NGOs. just like microfinance is great for the lenders, not so much for the borrowers – usually. 18 months to see the impact of electricity at rural setup, isn’t it bit early? Electricity plays a catalytic role in economic development at rural area. If they had good connection to road, access to finance to set-up small business or skill trainings and linkages to market then I am sure the impact would be much higher and quicker. But, the question here is what is the cost of lifting out people from poverty, should we necessarily invest in all these activities. Now a days the discussion on cash transfer is re-gaining the popularity.Is it the best way to end or reduce poverty? Not an easy question. However, really good work. Where can I find the original paper to read? Energy Institute Blog Does Solving Energy Poverty Help Solve Poverty? Not Quite.